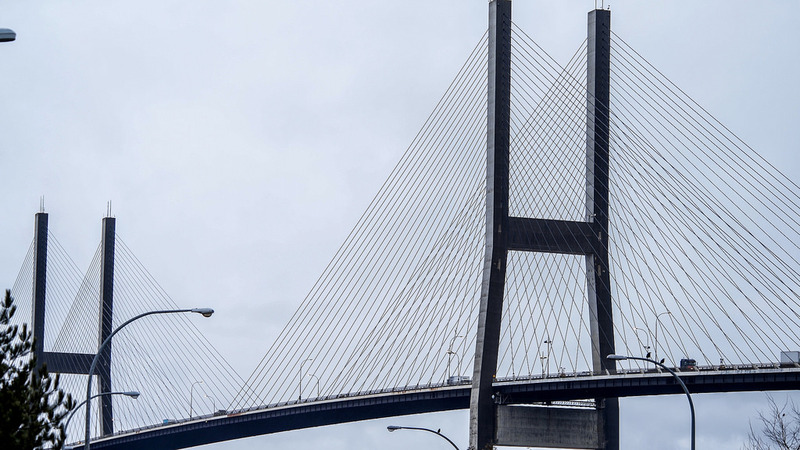 Surrey/Delta/New Westminster/Richmond – Choke points for people travelling across the Fraser River will be significantly reduced with the next round of work starting on the Alex Fraser Bridge and the completion of the new interchange at Highway 91 and 72nd Avenue. The new interchange at Highway 91 and 72nd Avenue is complete, making this route more efficient for drivers, as the signalized intersection has now been removed. Clean-up work will be finished on the interchange project by the end of the month. installing a network of dynamic message signs to provide real-time information about crossing times for the Alex Fraser Bridge and other Fraser River bridges. Be the first to comment on "Work Will Resume On Alex Fraser Bridge To Relieve Choke Points"